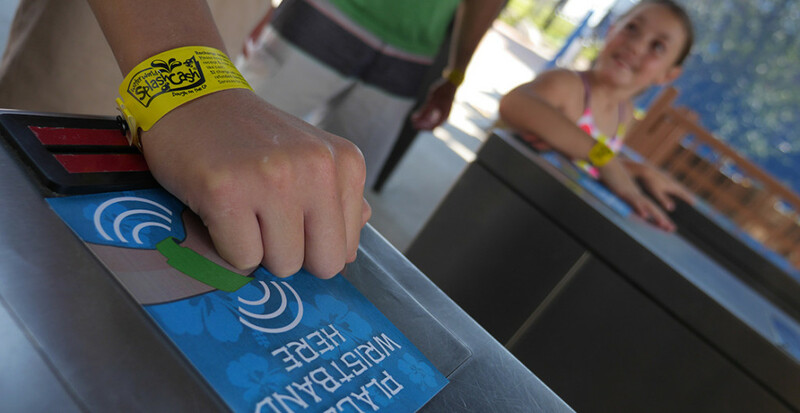 From single-day visits to season pass guests, PDC Smart® wristbands and RFID turnstiles provide faster access to the park while reducing the need for manual labor. The power of RFID also provides real-time park access data and monitoring. Since PDC Smart® wristbands contain a unique chip identifier, they’re impossible to duplicate- making them the ultimate anti-counterfeit ticket. The secure closure of PDC’s single-use wristbands also eliminates the possibility of pass-backs. Up to 50% quicker ticket validation drastically reduces entrance lines for faster access to the park. Guests can spend more time enjoying your parks amenities and gift shops! Faster, more efficient entrance turnstiles means fewer and number of stewards needed at park entrance locations.